After loading a volume from SEG-Y, a 2D line may need to be added or replaced in the volume (e.g. because of an error in the SEG-Y file). This can be done in the SEG-Y Loader by specifying an existing 2D dugio volume as the output file. 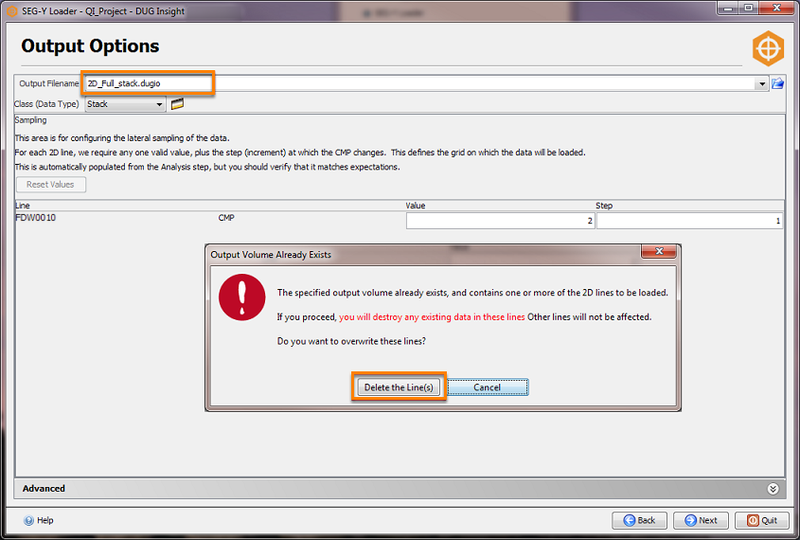 Note: We recommend making a backup of your existing dugio volume and survey before proceeding with this workflow. 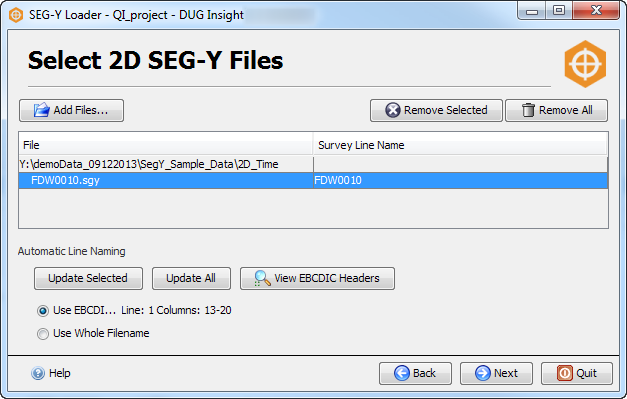 Follow the steps in Importing 2D SEG-Y Data. In the SEG-Y Loader, select your lines and make sure the byte locations and configurations are correct. 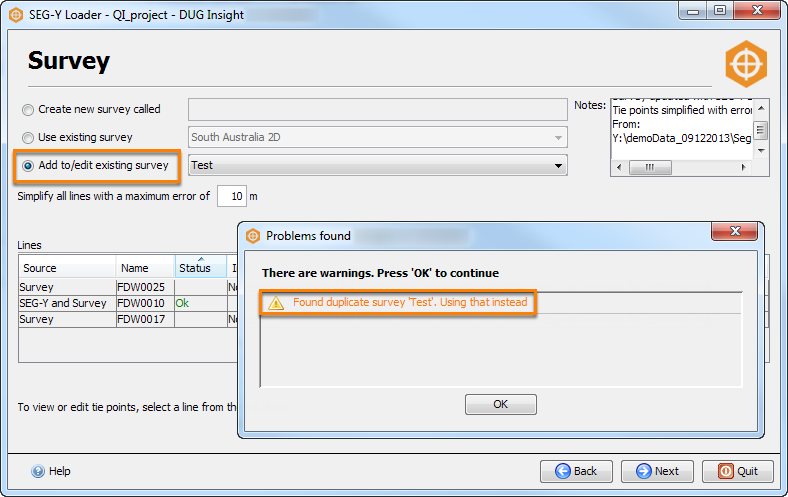 In the case of adding a new line to an existing 2D dugio, select Add to/edit existing survey. If the line had previously been loaded, it will already be defined in the survey - the loader should recognise it and force you to use the existing survey. In the last panel (Output Options), select your existing .dugio file in the Output Filename text field. Make sure that the volume you are adding the lines to is not loaded in your Insight session at the same time. Insight will need to delete the existing line(s), and will not be able to if the volume is currently loaded. Click on Delete the line(s) when prompted. Insight will load the data and overwrite the existing one. You may reload the volume to your session to check the changes. Prev: What should I know about Insight's 16-bit data compression? Next: How do I merge lines from multiple 2D volumes and surveys into a single volume and survey?